Rudy Giuliani, former crime-busting mayor of New York City, has taken a new job: TV pitchman. Television ads featuring the 2008 presidential candidate and onetime D.A. have recently begun airing. In them, Giuliani warns viewers of the dangers of identity theft and touts the services of ID-protection company LifeLock. The ads follow the November announcement by LifeLock CEO Todd Davis that the company had partnered with "America's Mayor" and with Giuliani's firm, Giuliani Partners, in order to promote better public awareness of the threat posed by ID thieves. Tami Nealy, LifeLock's senior director of corporate communications, says in an email to ABC News that identity theft has been the No. 1 consumer complaint reported to the Federal Trade Commission for the past 12 years. New York's ex-mayor, she explains, "has a strong track record of fighting crime, which is why we are working with him." Giuliani and his team will be providing what Nealy calls "strategic counsel" to LifeLock, so that the company can stay ahead of the "constantly evolving" threat. A request by ABC News for comment from Giuliani or his firm received no reply. 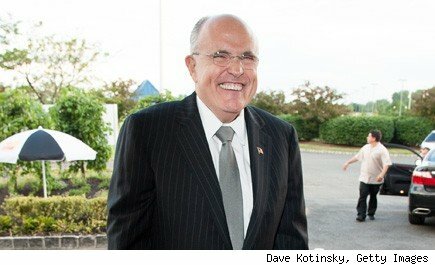 Neither Giuliani nor LifeLock has disclosed the partnership's financial terms. Since leaving office, "America's Mayor" has made money a variety of ways. Privately held Giuliani Partners, founded in 2002, reportedly has earned millions by offering consulting services to clients that include corporations and governments. Mexico City, for example, retained the firm in 2003 to help it fight crime better. LifeLock's use of Giuliani may qualify as the latest change in the company's advertising, but it is hardly the biggest. In 2010 the Federal Trade Commission fined LifeLock for making what the Commission called "false claims." In a statement pursuant to the $12 million settlement, the FTC's then-chairman wrote, "While LifeLock promised consumers complete protection against all types of identity theft, in truth, the protection it actually provided left enough holes that you could drive a truck through it." The company's claims were subsequently amended. LifeLock admitted no wrongdoing at the time. Giuliani, by doing LifeLock ads, joins a long list of politicians-turned-pitchman, which includes former senator (and fellow presidential aspirant) Fred Thompson. Thompson touts the American Advisors Group, a reverse mortgage company targeting elderly homeowners. AAG's website quotes him as saying, "In this tough economic climate, it's important that America's seniors know all their financial options." Other ex-pols who have pitched include ex-senator Bob Dole (Viagra) and the ex-governor team of Mario Cuomo and Ann Richards (Doritos). Former First Lady Eleanor Roosevelt shilled. Her 1959 TV commercial for Good Luck Margarine beggars belief. Jordan McAuley, author of "Celebrity Leverage" and an expert on the use of different kinds of celebrities as pitchmen, questions the wisdom of using politicians. LifeLock's picking Giuliani he politely calls "an interesting choice." On the one hand, thinks McAuley, the public "liked Giuliani when he was cleaning up New York," but on the other, many view Giuliani as "divisive"-- an authoritarian who rammed things down people's throats. "Why couldn't they have chosen someone older to go with their demographic?" he asks of LifeLock. "Somebody who everybody likes -- what we in the business call a 'Love Boat' celebrity?"